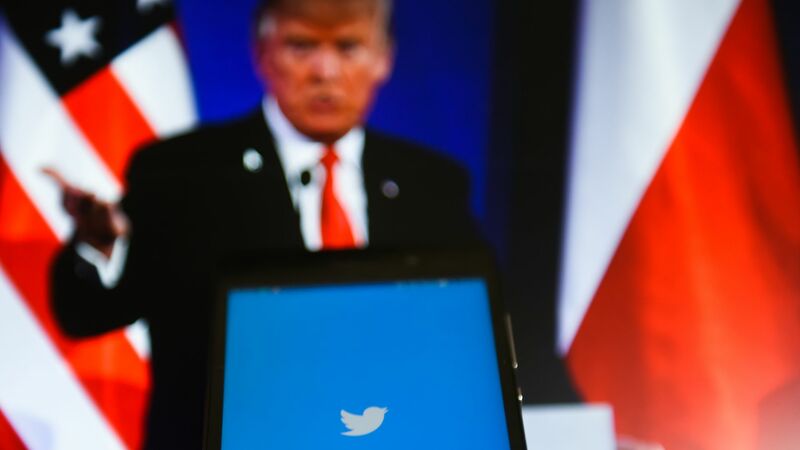 Go deeper: Twitter's supposed conservative "shadow ban"
Some Republicans are seeing limited visibility of their accounts in Twitter's automated search box, Vice News reports. Conservatives have seized on the story — even though experts say that it does not prove ideological bias on the platform. The big picture: Conservatives have claimed for years that social media platforms are biased against them, but Twitter has denied that it has targeted any specific group. A New York Law School professor, Ari Ezra Waldman, told Vice that this isn't indicative "of anti-conservative bias since some Republicans still appear and some don't. This just appears to be a cluster of conservatives who have been affected." President Trump: "Twitter 'SHADOW BANNING' prominent Republicans. Not good. We will look into this discriminatory and illegal practice at once! Many complaints." RNC Chair Ronna McDaniel: "The notion that social media companies would suppress certain political points of view should concern every American. Twitter owes the public answers to what's really going on." Republican Rep. Matt Gaetz, who says his account was affected: "I firmly believe @Twitter should not discriminate against content while simultaneously asserting that they are a non-biased public forum under federal law. Donald Trump Jr.: "So now @twitter is censoring @GOPChairwoman? Enough is enough with this crap. @Jack it's time for you to #StopTheBias against conservatives and Trump supporters and fix this once and for all." Bloomberg tech reporter Selina Wang: "Twitter says tech makes decisions based on account behavior, not tweet content. Even so, not great optics rn for Twitter to have shadow-banned some prominent Republicans, esp. after two hearings were held on social media censoring conservative voices." Renee DiResta, policy lead for Data For Democracy: "The premise of the article was that certain possibly-shadowbanned accounts were hit *because* they were Republican. No evidence presented that affiliation/content (vs behavior) was the cause. The baseless narrative was picked up by Sputnik & some sketchy accounts last night." A Twitter spokesperson told Politico tech reporter Cristiano Lima: "As we have said before, we do not shadowban. We are aware that some accounts are not automatically populating in our search box, and shipping a change to address this. ... To be clear, our behavioral ranking doesn't make judgments based on political views or the substance of Tweets." Twitter product lead Kayvon Beykpour tweeted: "We're always working to improve our behavior-based ranking models - their breadth and accuracy will improve over time. It's important to note that these behavior signals are not binary, and they are one of many other signals that factor into ranking." And New York Magazine's Brian Feldman reported that Twitter's technique is similar to something Facebook has done previously. "[T]his sort of moderation isn’t shadow banning. ... To the extent that this is even a problem, it’s pretty easy to buy Twitter’s explanation that this is a side effect of a minimal measure designed to make sure that people aren’t preemptively encouraged to consume bad information from dubious sources."